Our Employee/Corporate wellbeing services are innovative, accessible and provided at reasonable costs. The workshops and the staff counselling service on offer are both provided by our trained, qualified and Garda vetted facilitators/counsellors; with backgrounds in mental health and career guidance/development. If your company or organisation wants to reduce absenteeism, have a more productive workplace and to also have a work environment which has better communication, then our workshops are what you needed. Our qualified workshop facilitators are trained Mental Health Counsellors as well as Career Counsellors. 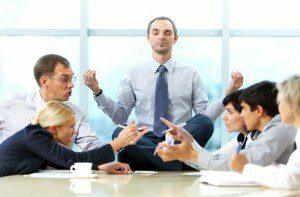 They have combined these separate but interconnected skills sets to develop workshops that provide your team with the tools to reduce stress and anxiety – both inside and outside of the workplace. Our facilitators also provide training around effective communication with others who may be distressed (team mates/colleagues and customers/clients). Our Leadership workshops are aimed at managers, supervisors etc and can be tailored to the specific company requirements. The workshops provide knowledge and evidence-based practices in dealing with problems and also foster good company culture; which are important elements of success and employee retention (Max participants 20). One of the most pressing issues in the workplace is stress, sometimes coupled with anxiety. Our workshop provides vital knowledge about stress and anxiety, and experientially teaches various ways to meet and overcome stress and anxiety in the workplace. Communication is at the heart of every company culture but how consciously do leaders communicate? Encouraging safe communication and engaging employees are cornerstones of company culture. Safe communication teaches managers how to deal with distressed employees and also addresses the issue of suicide; thus providing leaders with a safe and confidential method of dealing with employees who are in distress. We address stress and anxiety and teach mindfulness specifically in the workplace providing hands-on learning techniques. Due to the experiential nature of our workshops learning is effective and will be retained, providing an important platform for personal growth (Max participants 20). The ‘Changing Conflict’ workshop was developed by Helplink’s qualified, insured and Garda vetted Mediators – originally ‘Changing Conflict’ was developed for second level students. However, since 2017 our facilitators have developed another version of the workshop aimed at staff/employees/contractors of businesses, local government bodies (e.g. councils) and community organisations (Max participants 20). Understand the nature of communication and the requirement to communicate effectively to resolve conflict. Gain skills and training in active listening, better communication (two-way), cooperation with others as part of a team, appropriate assertiveness in resolving conflict etc. Our team of experienced behaviour change consultants and counsellors facilitate these workshops, providing a confidential and safe environment for lively and meaningful learning, discussion and teaching. As we are non-profit organisation the fee for our workshop/s is low cost in comparison to for-profit companies. Call us on (091) 759887 or email helplinksupport@helplink.ie for more information and a quote. EAP Counselling Services have been proven to reduce absenteeism, increase staff wellness and also productivity. With our unique service your company does not have to pay any yearly/monthly percentage from payroll; your company only pays when the service is used.